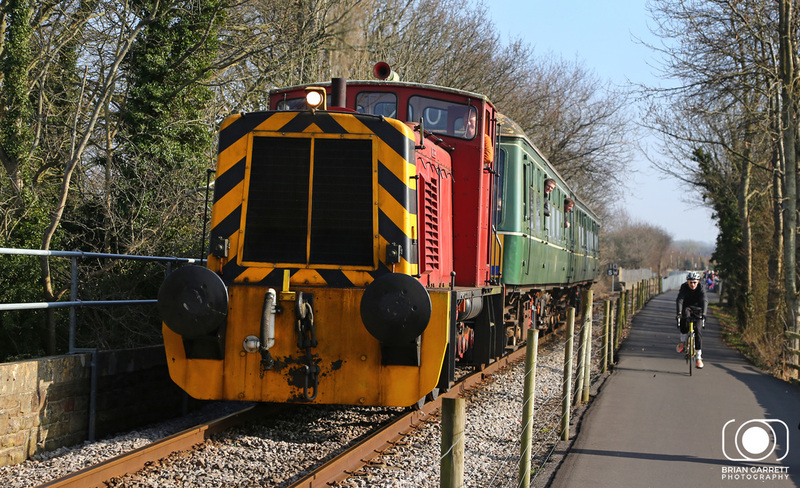 The Avon Valley Railway near Keynsham held a small Diesel Gala Weekend on the 12th and 13th March using as many of their operational diesel locomotives and industrial shunters as were available. 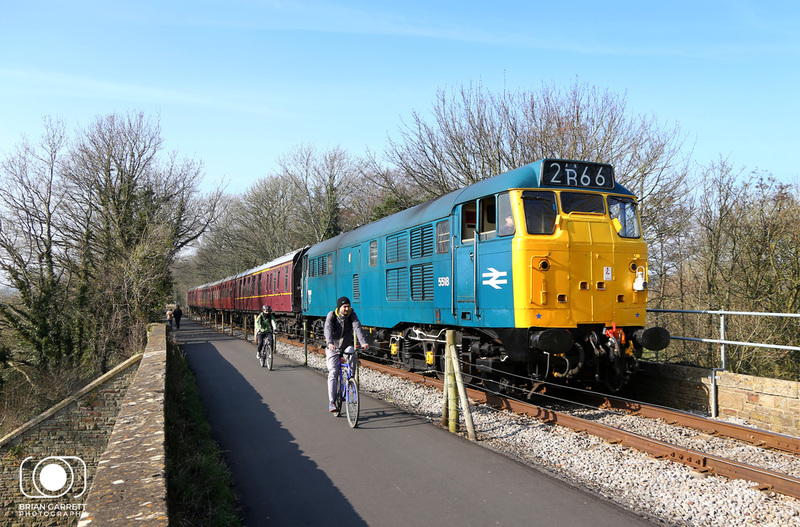 The Gala weekend also marked the debut of restored BR Blue Class 08 No.08202 on the line, working alongside BR Blue classmate Class 31 No.31101 The Avon Valley Railway is part of the otherwise-dismantled Midland Railway Mangotsfield and Bath Branch Line, which was closed during the late 1960s as a result of the Beeching cuts. The railway is perhaps best known for connecting the former Somerset and Dorset Joint Railway (S&DJR), whose northern terminus was at Bath Green Park station, with the London, Midland and Scottish Railway (LMS). 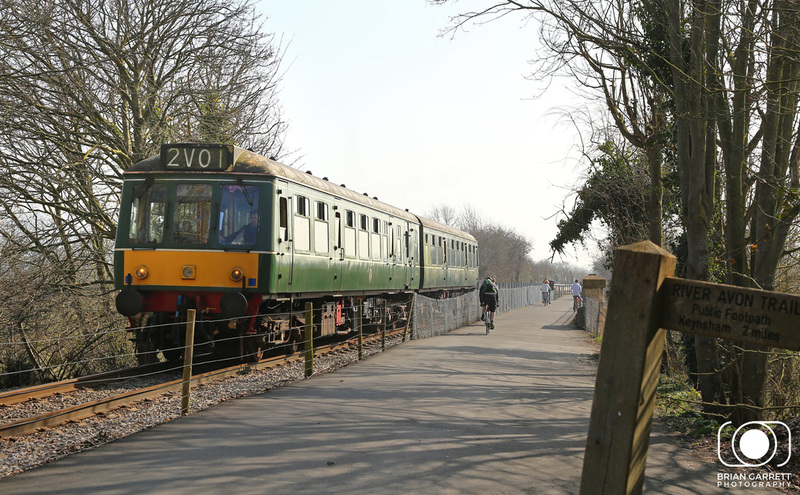 The small line now also shares the route a cycle path which links Bath with Bristol and is incredibly popular with cyclists, walkers, and those out to enjoy the great outdoors. 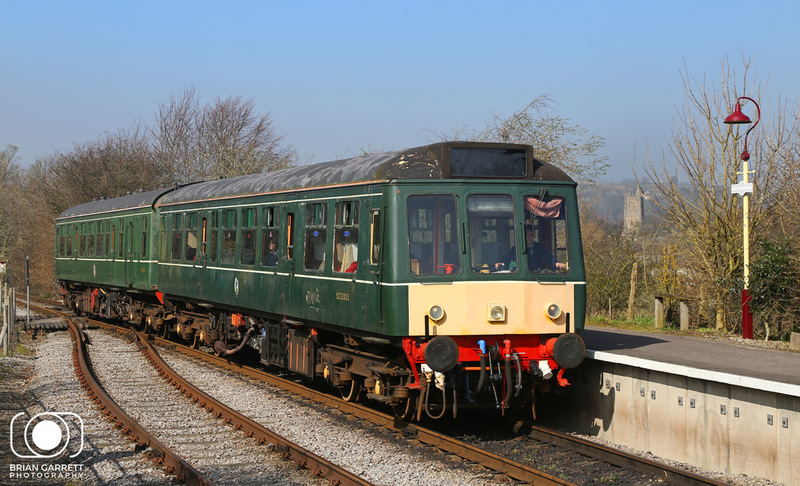 The Class 107 on the Avon Valley Railway formed of DMCL car No. 52025 and DMBS car No. 52006 (formerly part of sets 107431 & 107435) is in good working order bu needing attention to its exterior bodywork. The Class 107 Diesel Multiple Unit was built in 1960 and spent its working life in the BR Scottish Region with all members of its class being withdrawn by 1992. 13th March 2016. 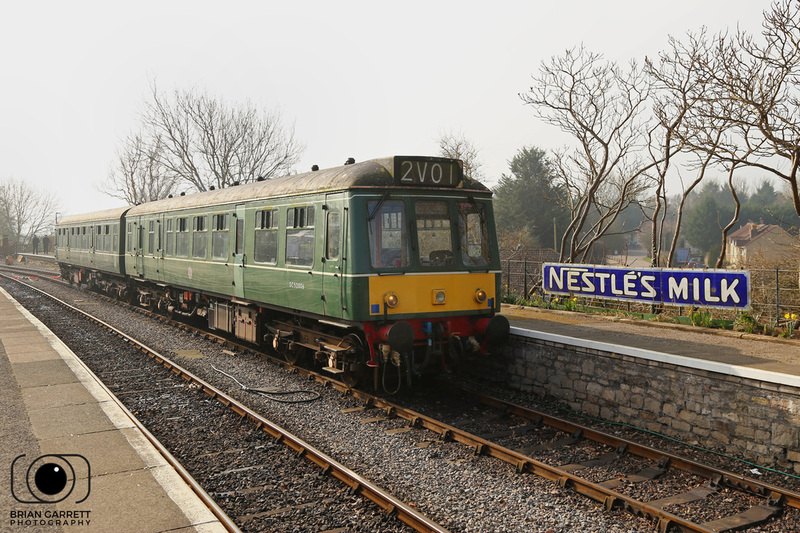 Class 107 DMU cars BNo.52025 & 52006 stand at Bitton Station. 13th March 2016. 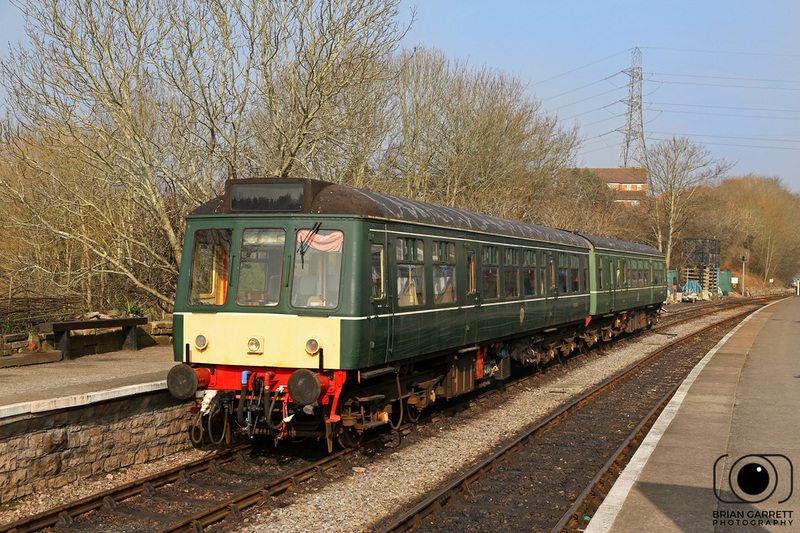 Class 107 DMU cars No.52006 & 52025 stand at Bitton Station. Class 107 DMU No.52025 & 52006 arrive into Riverside Station with St Marys Bitton Church pictured in the background. Class 107 DMU No.52006 & No.52025 depart from Riverside Station with the 13:25 to Oldland. 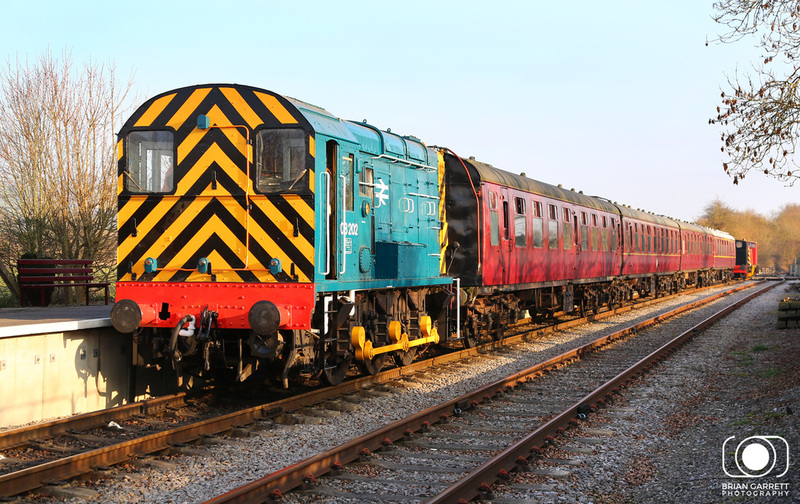 Built in BR’s Derby Works, Class 08 No.08202 entered service as No. 13272 on the 6th October 1956, allocated to Hither Green Depot in London. 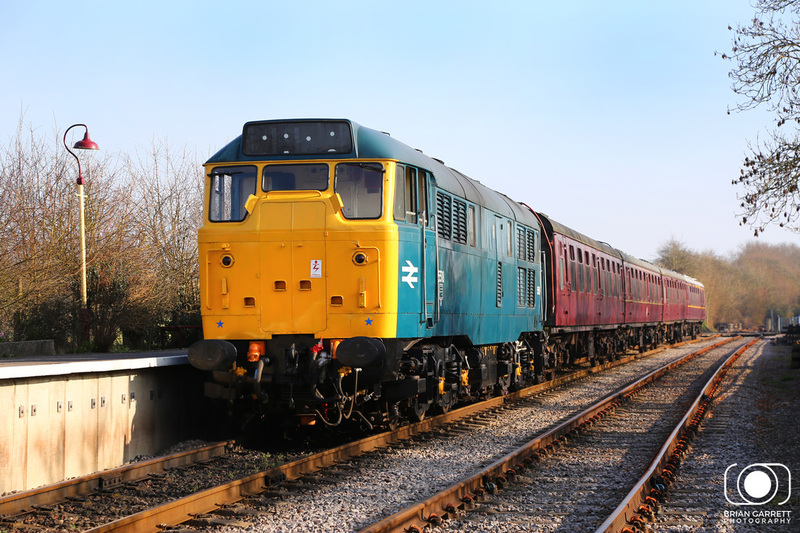 It was re-numbered to D3272 in 1961 and then 08202 in 1974, the loco spent the majority of its mainline working life allocated to Eastleigh with a few years at Hither Green and Feltham, and a stint at Norwood Junction before being withdrawn from service in May 1989 while working at Cardiff T&RSMD. After retirement 08202 was purchased for use by the Potter Group where the locomotive was painted in a bright yellow livery. 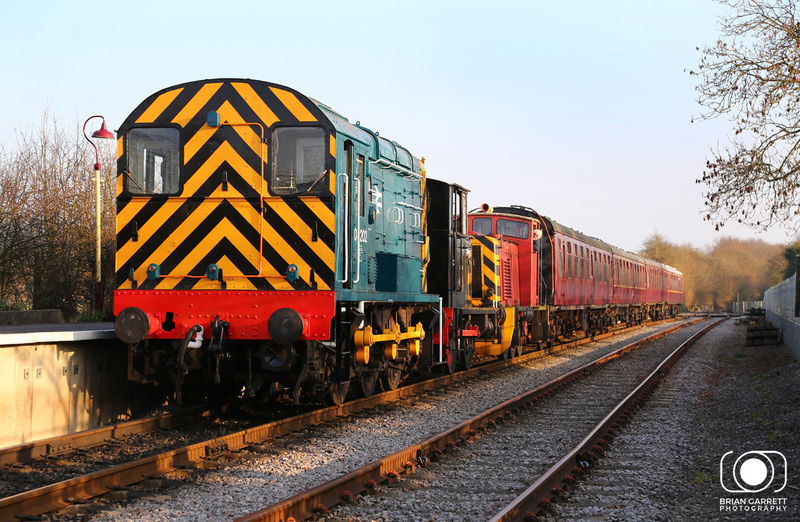 After this the loco moved to the Chasewater Railway for a short period of time. 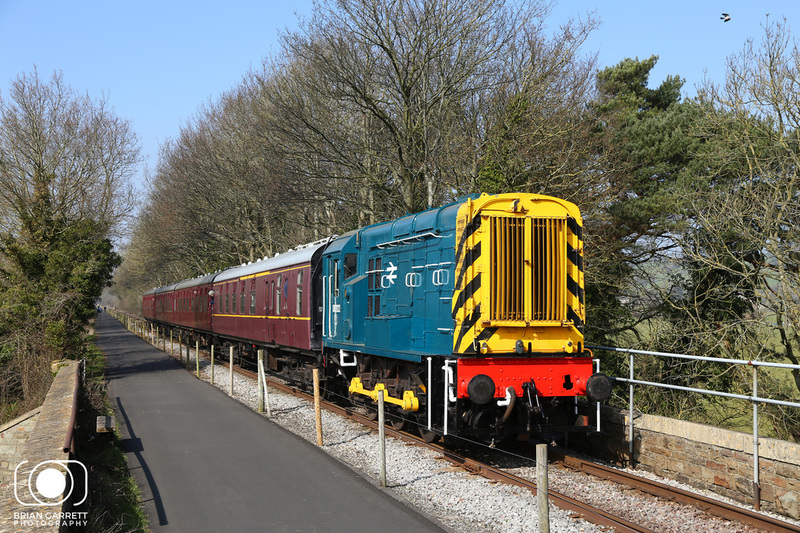 In June 2015, 08202 was purchased by an Avon Valley Railway member and the locomotive was moved to its new home at Bitton where its been returned to its BR Blue livery and restored. Br Blue Class 08 No.08202 arrives into Riverside Station with the 13:20 from Oldland. BR Blue Class 08 No.08202 stands at Riverside Station having arrived on the rear of the previous service from Bitton. In the late afternoon sun BR Blue Class 08 No.08202 prepares to lead a 'triple headed' special from Riverside to Oldland. Also providing power was WD No.70043 'Grumpy' and Ruston Hornsby No.429 'River Annan'. Class 31 No.31101 was uilt by Brush Traction in Loughborough, and entered service as D5518 on the 16th October 1958 based out of Stratford Shed. In 1973, D5518 was renumbered 31101 to fit with the BR TOPS system that had been introduced by British Rail. The loco has had an interesting life, having being saved from scrapping twice, being the first Class 31 to work passenger services on the Southern Region and hauling the Royal Train conveying the Queen. After over 34 years in service, 31101 was finally retired from main line duties in January 1993 and purchased for preservation by Waterman Railways before eventually being sold to Suburban Preservation. She’s spent time in preservation at the East Lancashire Railway, Battlefield Line and then the Avon Valley Railway. 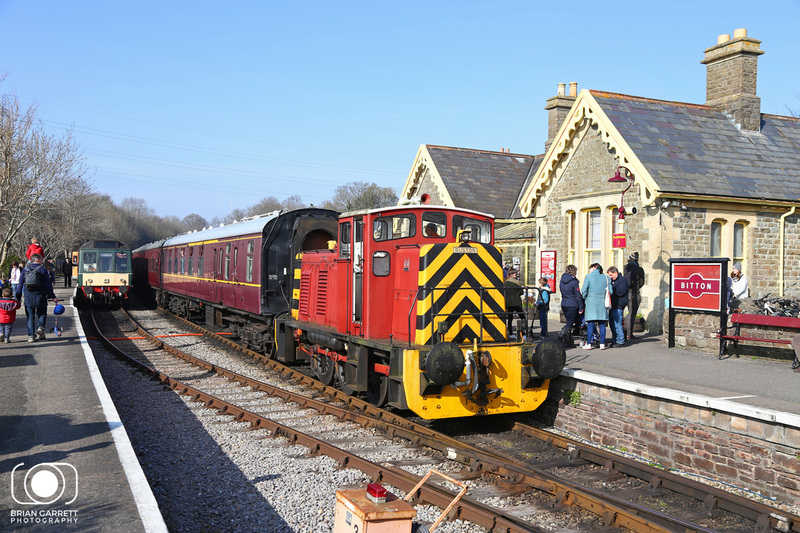 The locomotive arrived on the 21st October 2014, joining her sister locomotive 31130 at Bitton. Since being on the line the loco has been repainted, renumbered back to 5518 from 31101 and had a Spanner Mark 1 steam heat boiler fitted. 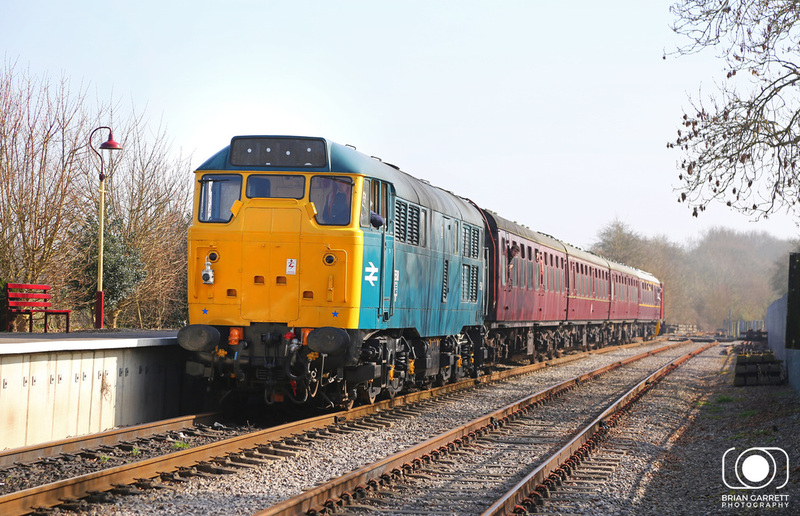 BR Blue liveried Class 31 No.5518 (31101) stands at Riverside ready to depart to Oldland with the 14:20 service. BR Blue Class 31 No.5518 (31101) arrives into Riverisde Station as passing cyclists overtake on the Bristol - Bath cycle path. BR Blue Class 31 No.5518 (31101) stands in the evening sun at Riverside Station ready to make its final run back to Bitton Station. Built in 1961, MOD No. 429 “River Annan” is a Ruston Hornsby LSSH 0-6-0DH (diesel hydraulic) shunting engine. Ruston Hornsby No.429 'River Annan' departs from Riverside Station with the 15:05 to Oldland. Ruston Hornsby No.429 'River Annan' stands at Bitton Station. 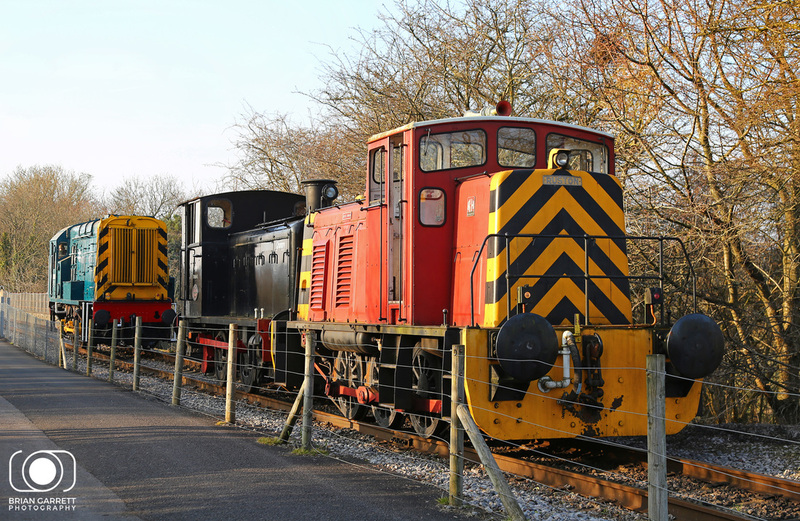 Avon Valley Railway Shunters No.429 'River Annan', WD 70043 'Grumpy' and BR Class 08 No.08202 at pictured at Riverside Station.